PYONGYANG, North Korea — “Obama always goes reckless in words and deeds like a monkey in a tropical forest,” said North Korea’s National Defense Commission, according to state-run media. North Korean authorities blamed President Barack Obama for the release of The Interview—a recent film starring James Franco and Seth Rogen—that portrays North Korea as an oppressive and deceitful dictatorship. North Korea’s anger over the release of the movie is not surprising. For decades, the government has worked very hard to portray a specific image of itself to the outside world. Visitors are usually only allowed into Pyongyang, the capital city. And even then, there are very specific hotels and areas of town that are approved for outsiders. The image that North Korea presents to the outside world is one of prosperity, modern technology, clean streets, and strong infrastructure. In one particularly memorable scene from The Interview, James Franco’s character goes to one of the upscale-looking grocery stores that he passed on his bus ride into Pyongyang. Upon entering the store, he realizes it is all fake; the shelves are lined with plastic food, and there is nothing for sale. Though there is no clear evidence that fake grocery stores exist in North Korea today, the sentiment is reportedly accurate. “Here the movie is effectively playing with the contrast between illusion and reality in the country. 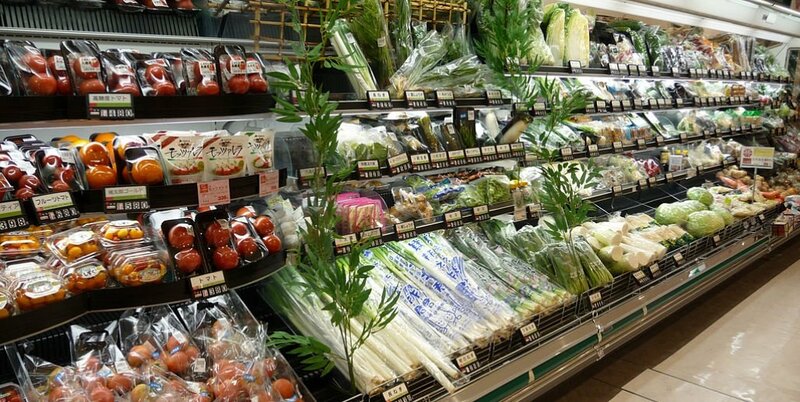 Visitors to Pyongyang in the famine years of the 1990s used to describe supermarkets that displayed plastic produce,” writes Barbara Demick in an article that appeared in the New Yorker. Demick is an American journalist, currently the Beijing bureau chief of the Los Angeles Times, and author of Nothing to Envy: Ordinary Lives in North Korea. And in contrast to the opulence that visitors to Pyongyang experience, 16 million of the 24 million residents are malnourished due to hunger in North Korea. According to reports from the United Nations, one in three children under five years old experiences stunted growth and development, particularly in rural areas where nutritious food is scarce. Chronic diarrhea from a lack of clean water and proper sanitation is now the leading cause of death among North Korean children. Roughly 2.4 million of the most vulnerable residents depend on food assistance, and North Korea continues to experience a cereal deficit. In 2012-2013, the U.N. estimated that 507,000 more metric tons of grain were needed to feed the populous than the country could produce. To help meet this deficit and to respond to the other serious humanitarian needs in North Korea, the U.N. budget is around $150 million. However, it remains severely underfunded. According to the Human Rights Watch’s World Report 2014, “There has been no discernible improvement in human rights in the Democratic People’s Republic of Korea since Kim Jong-Un assumed power after his father’s death in 2011.